On Tuesday, May 7, the rink will again participate in the Washington County Gives annual fundraiser. This day of giving helps local organizations achieve their goals. 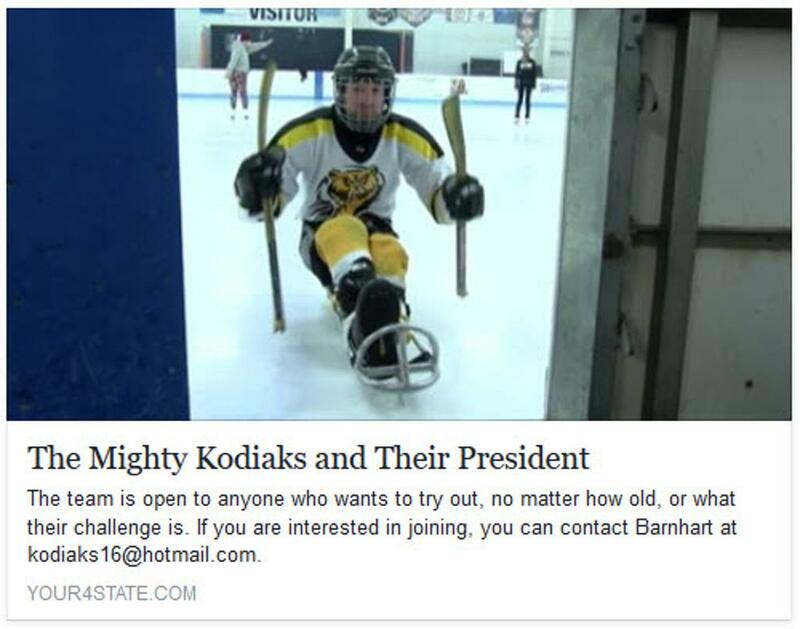 This year, we'll hold our sled-a-thon to help promote the Kodiaks, our sled hockey team. The team will use the funds to purchase new sleds and equipment for players. Players will skate around the ice on their sleds. They will earn a predetermined amount of money for each lap they plan to complete. For example, if a player plans to skate 15 laps during the allotted time, and a donor gives $1 per lap, that person's total up-front donation would be $15. Each player will estimate how many laps they will be able to complete, so donors will know their donation total ahead of time. Please consider donating to this cause. Behind each player is a unique story- our diverse team boasts children, women and men of many different ages. 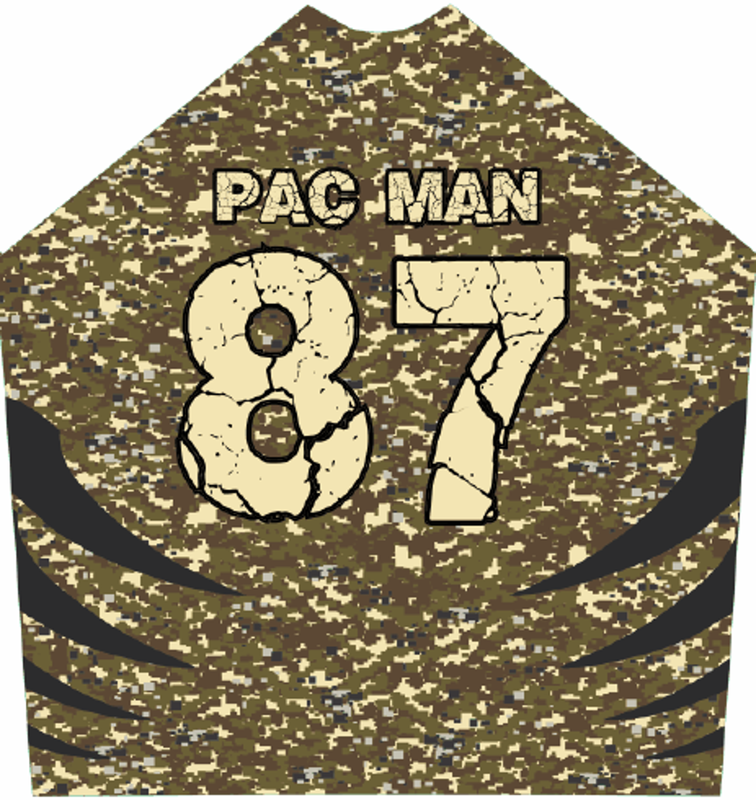 Below, we'll highlight some team members and they'll tell you how they ended up playing for the Kodiaks. The Kodiaks are the first sled hockey team in the area. Some larger cities like Baltimore or Philadelphia also have teams or leagues of teams. Mike Barnhart, president of the Kodiaks, is also a player. Mike was diagnosed with juvenile diabetes at age 7. As a result of complications, he is now legally blind and is a below-the-knee (BKA) amputee. He's also a double transplant recipient. Mike was physically active in his youth, and wished to pursue some sort of physical adaptability sport to stay in shape. "I was introduced to Sled Hockey in Baltimore, and the first time I tried it I was addicted," he said. "I was then accepted to an adult team that was starting up." Though Mike loved the camaraderie and competition, he had a hard time coordinating transportation to Baltimore. 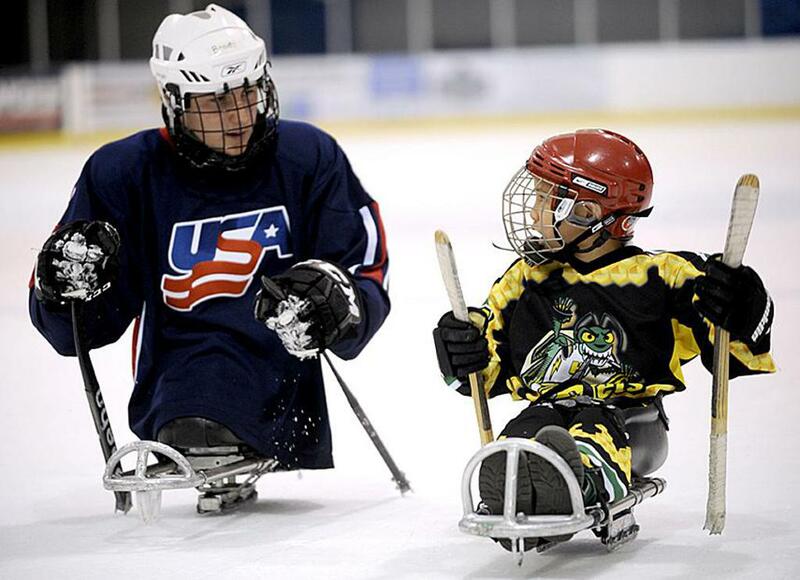 He then had an epiphany- why not work to build a sled hockey team right here in Hagerstown? Mike's dream was realized in June of 2016. Hockey sleds were ordered, and the first few players were added to the roster. 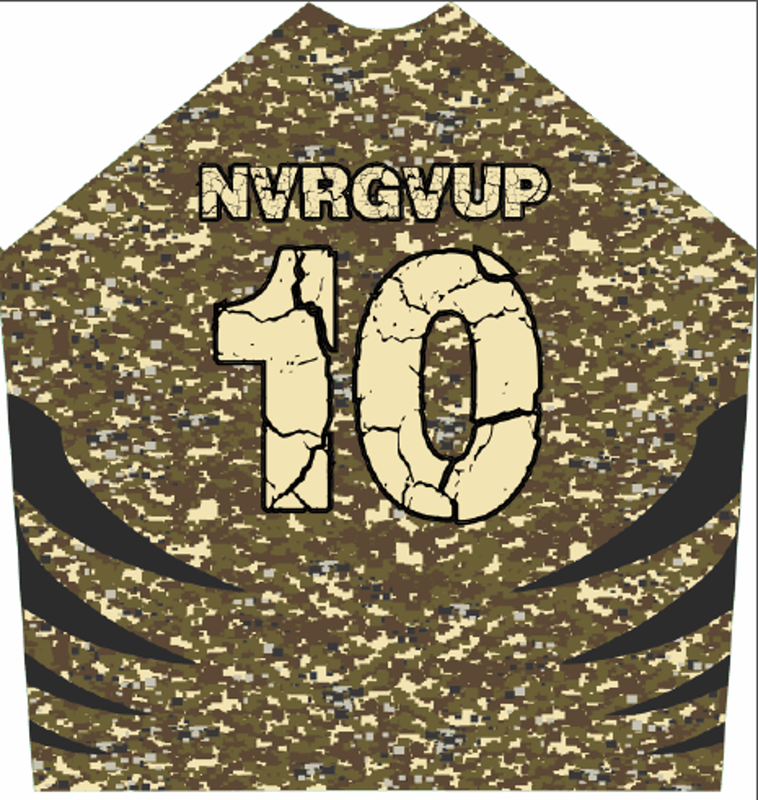 As of today, there are around 18 players on the roster, all from various backgrounds, ages and ability levels. 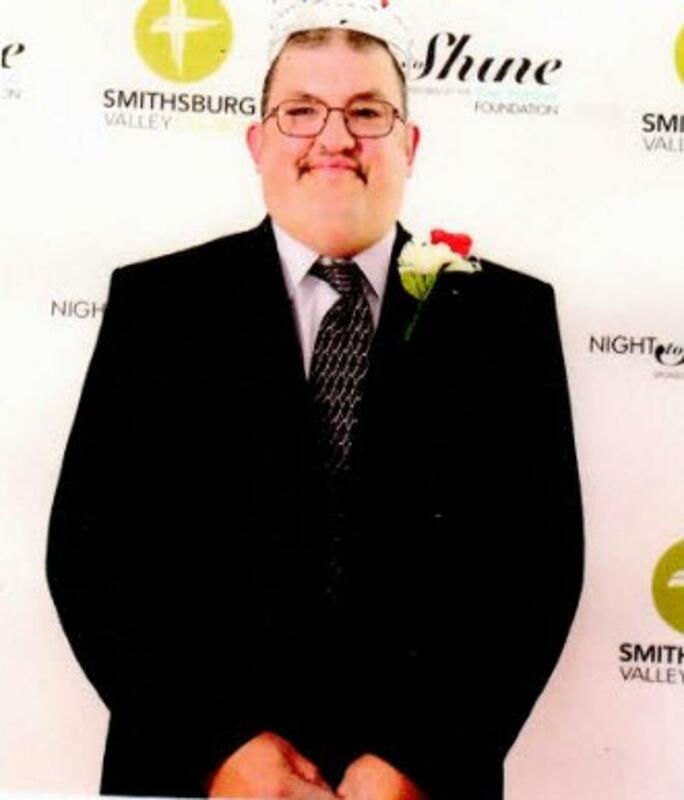 While sled hockey provides much fun and exercise, Mike relishes the opportunity to give back to his community. "When I play, I can increase my strength and stamina. But it also aids in my mental and educational stability within me. I can help others get the most out of themselves, which is the greatest reward. I play with and for my teammates." Mike's advice to his fellow players and those with whom he speaks? "Never give up!" Haylee is a 17 year old member of the team. She wears #22 for the Kodiaks. She was diagnosed with Polyneuropathy / Autonomic Dysfunction in 2016. 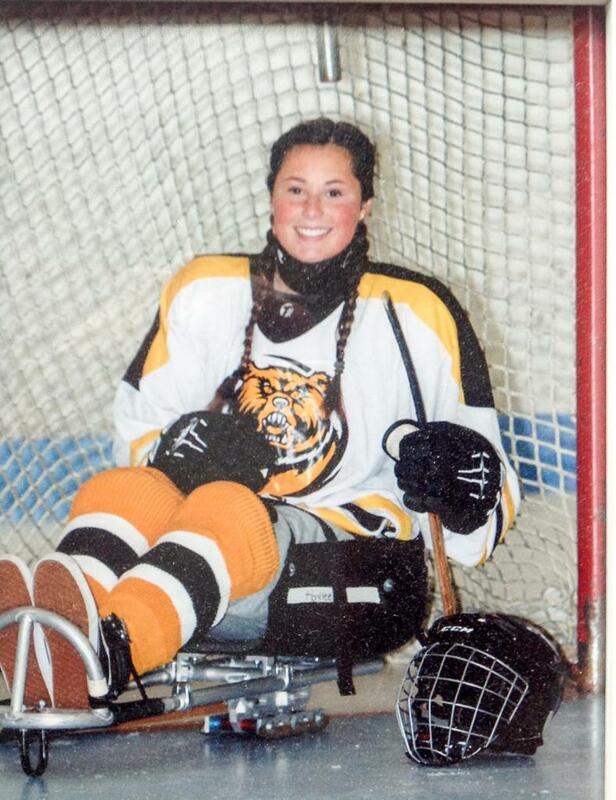 Haylee decided to to start playing sled hockey because she had a desire to play a team sport. "This is a fun sport, and I love the fast-paced action it provides," she said. While Haylee no doubt enjoys playing this sport with her peers, she is excited to have the opportunity to play it with her father, who is also a Kodiak player. 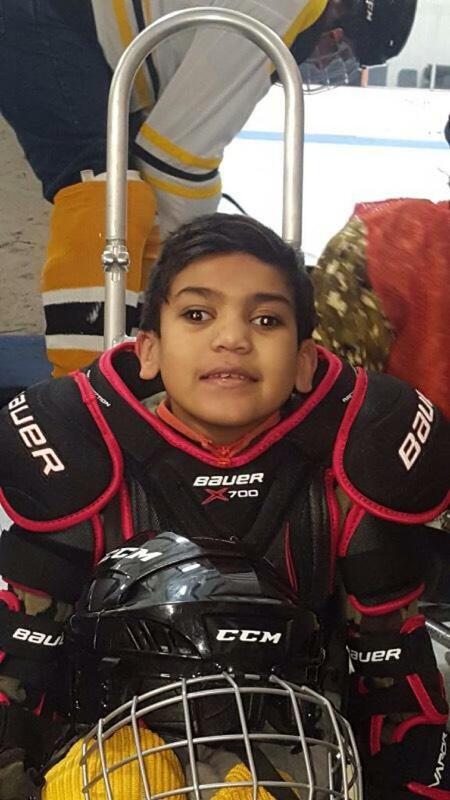 Arjun is a 9-year-old member of the Kodiaks. He wears #30 for the team. Arjun has an unknown neurologic disorder. This has affected his signt, walking, and fine motor skills. This doesn't stop Arjun from racing around the rink, though. 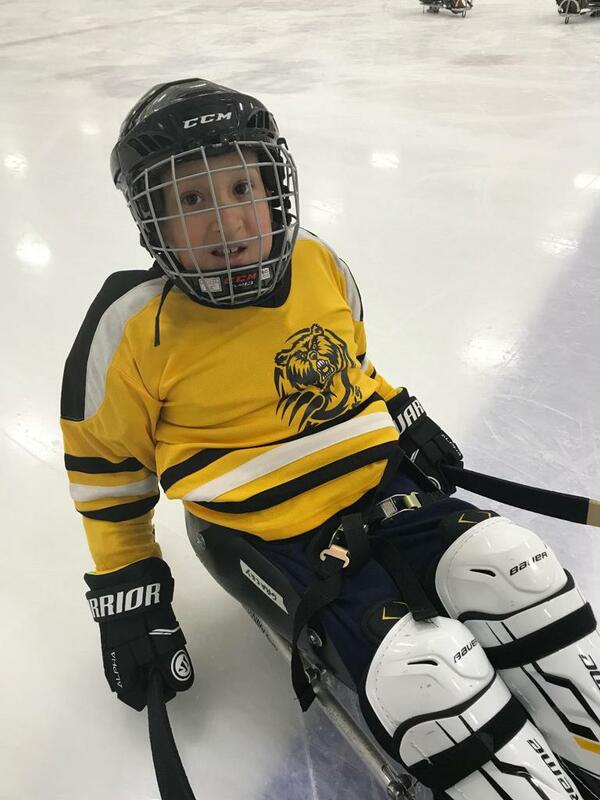 "I play sled hockey because it makes me feel like I can do things that other children my age can do," he says. Arjun loves the competitive feel of the sport, and meeting new friends who are also on the team. Perhaps the best part for Arjun is the ability to compete in a team-oriented sport. He knows he has to do his part in order to contribute to the team's goals. "I have never been part of a team- and being on this team makes me feel good," Arjun said. Congrats, and welcome to our team, Arjun! Robert is a 32 year old member of the team. He sports jersey #20. Robert was born with Spina Bifida, but was thrilled to find a team-oriented activity that would allow him to make new friends in a competitive environment. "I like to compete against others, while making friends at the same time," he stated. "This is a great sport because it allows me to push myself and strive to be a better player. 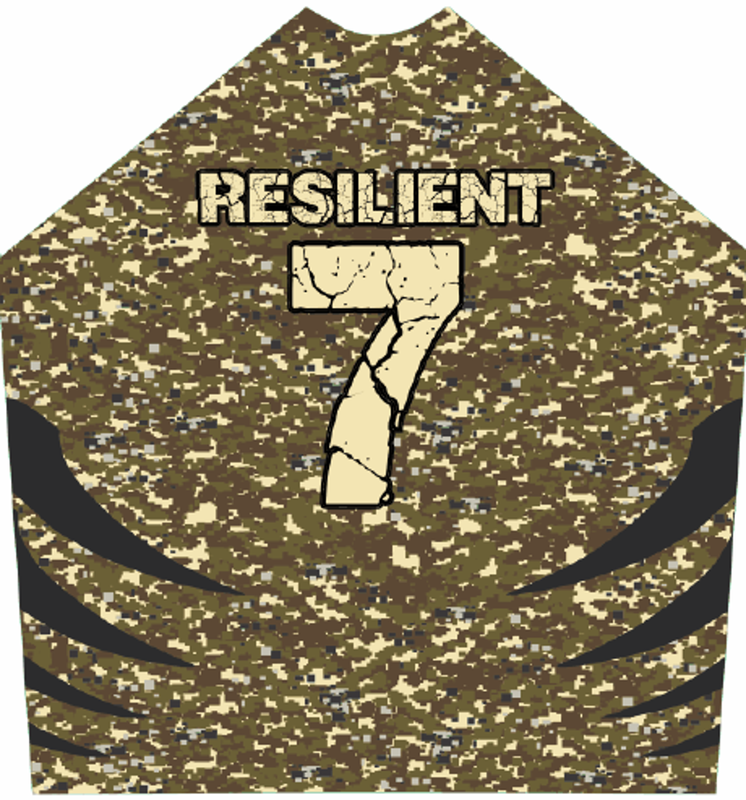 Rodney is a 52-year-old member of the Kodiaks. He wears #17 on the ice. Rodney has been diagnosed with Charcot Marie tooth disease. Why does Rodney play sled hockey? "I was invited to give it a try, and I enjoyed the experience," he shared. "I get to exercise when we practice, and even the practices are a lot of fun." 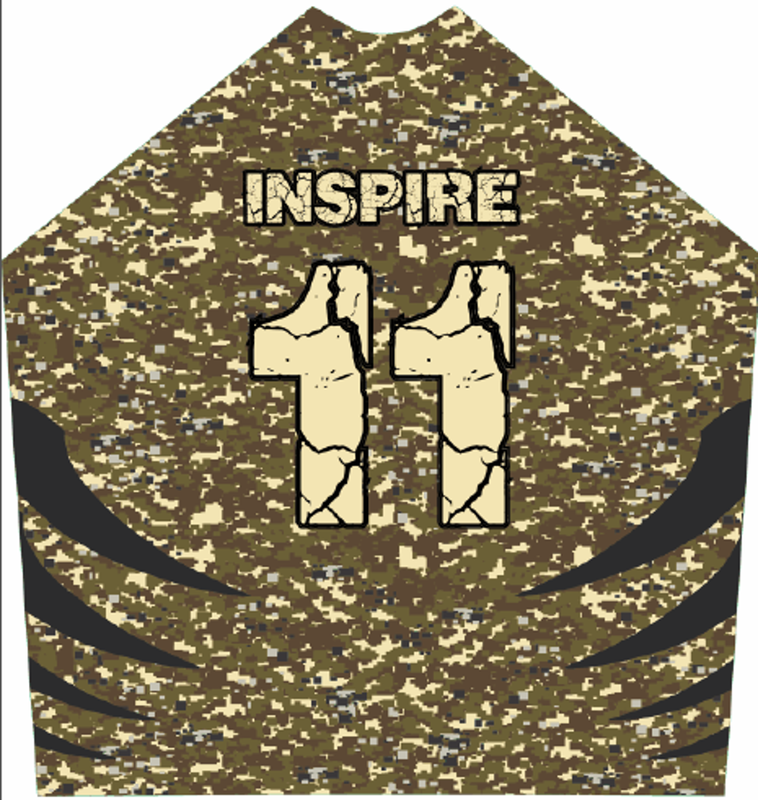 Rodney also enjoys playing because he can give back to other members of the team who might need assistance. "Whether it's a person who needs help playing, or has a difficulty performing an on-ice task, I like to help out," he said. "Coming from a teammate on the ice, it can help to build their confidence and we develop a better rapport as teammates." Scott is a 45-year-old member of the Kodiaks. He wears #81 on the ice. Scott is another team member without a physical disability, but he signed up to play because his son is on the team. "It's a great opportunity for the two of us to spend some time together on and off the ice," he noted. "We have a special relationship because we are on the same team. Some dads and sons can talk about the sport, or a play, but rarely are they both involved in the same play at ice level." Of course not! As one of the youngest members of the team, Pierce has to play against hockey players older and faster than him. Pushing a sled and one's body weight is difficult, especially for someone in elementary school! Pierce is learning his craft from many older and more experienced players. They help him on and off the ice, and are inspired by his positive attitude and contagious smile. "I love sports and am very competitive," says the 7 year-old. "Sled hockey gives me the opportunity to be part of an amazing team, and play the sport I love!" Every hockey team needs a veteran. One who has experiences on and off the ice, which helps make split-second decisions when the game is on the line. Whether it's coaching up a teammate or developing an in-game strategy, each team looks to its veteran leadership in a competitive environment. Enter the 55 year-old vet Mike Butler. Mike is a below-knee-amputee (BKA) who lost his lower leg due to an accident in 2006. Mike has been playing sled hockey since 2013. His on-ice expertise and gamesmanship helped to ease newcomers onto the team when the Kodiaks formed in 2016. 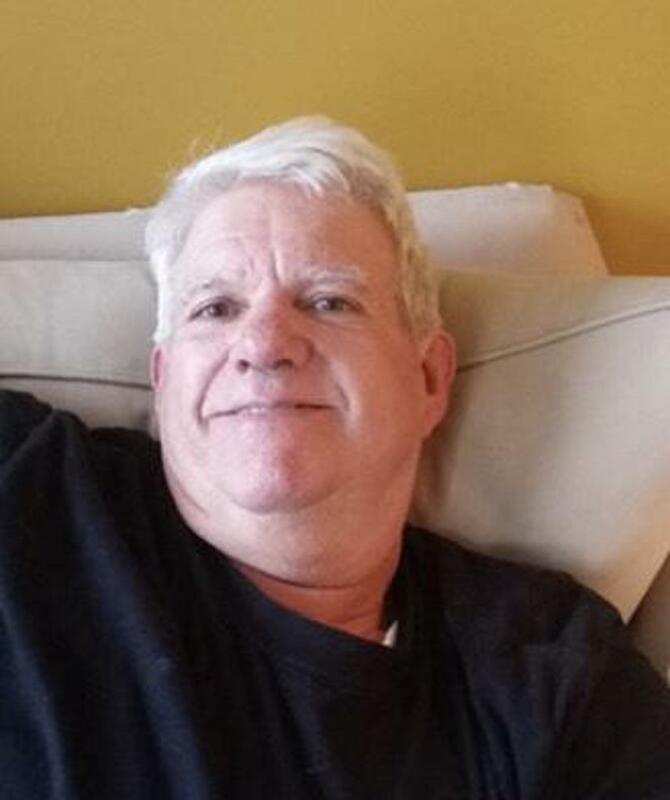 Mike has always loved sports, but discovered sled hockey in 2013 and became hooked immediately. "I was introduced to sled hockey in 2013; it was an exhibition sport at the Endeavor Games in Edmond, Oklahoma," he noted. "The Endeavor Games offer multi-sport competition for athletes with disabilities. I've been hooked since I first got on the sled." What keeps Mike focused in life and on the ice? "I'm very active in sports, at work and in life, in general. I love challenges, and believe anything can be accomplished, as long as you put your mind, heart and spirit into it." He decided to start playing hockey for a great reason- "I have friends who play hockey, and they like it. I thought I would give it a try." 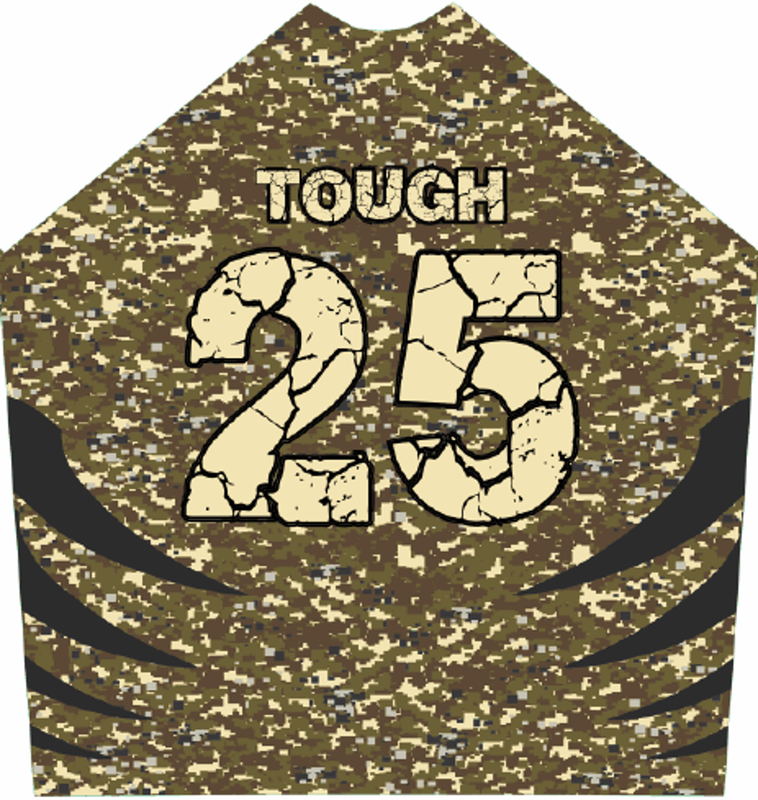 David wears #25 for the Kodiaks. He enjoys the ability to meet new people and connect with friends on the team. Team member Carter Hillman is one of the youngest Kodiaks. When asked to describe himself in one word, he says "blessed." This 10 year-old skater wears #8 on the ice. Carter has spina bifida, but that doesn't slow down this speed enthusiast. "I have spina bifida and I play Sled Hockey because it’s really fun. I like being a part of a team and going really fast on my sled." What is the best part of the game action? Carter added, "I like playing in the scrimmages and scoring goals." How many laps do you think this speedster will complete during the sled-a-thon? 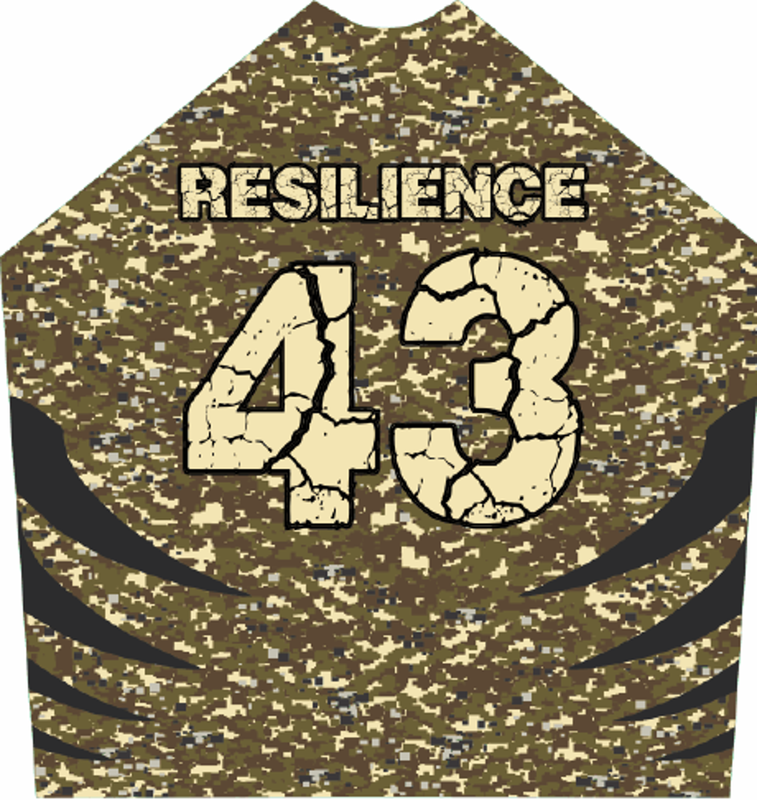 Mike wears #41 for the Kodiaks. The 37-year-old is a below the knee amputee (BKA) as a result of a work accident suffered in 2014. Coincidentally, Mike was trying to get involved in ice hockey just before his injury. 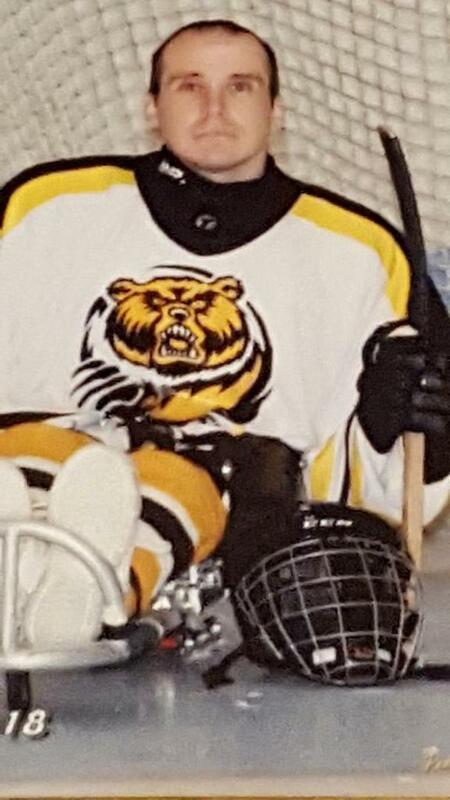 His chance to play sled hockey opened right after the accident. 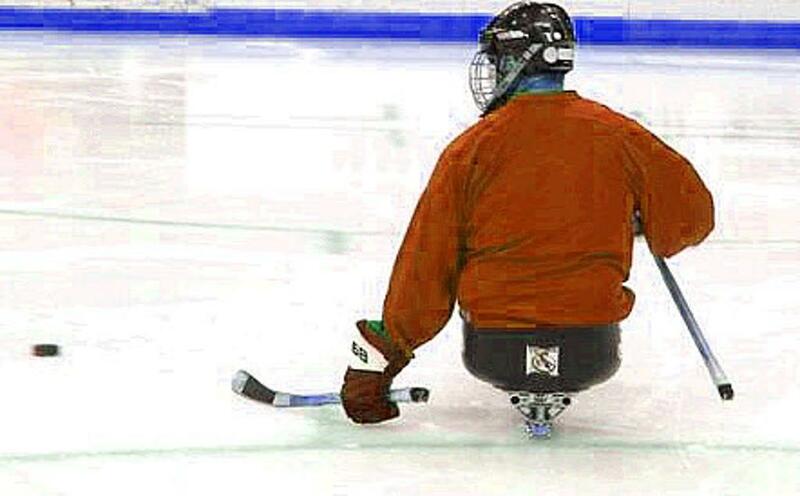 "After the injury, the opportunity to play sled hockey presented itself. I really enjoy playing. There are some awesome people that are involved, of all ages." Mike also enjoys the cardio and upper body resistance training he gets when he's on the ice. "It's a great workout, and it's fun." Kelly is a 12-year-old member of the Kodiaks. 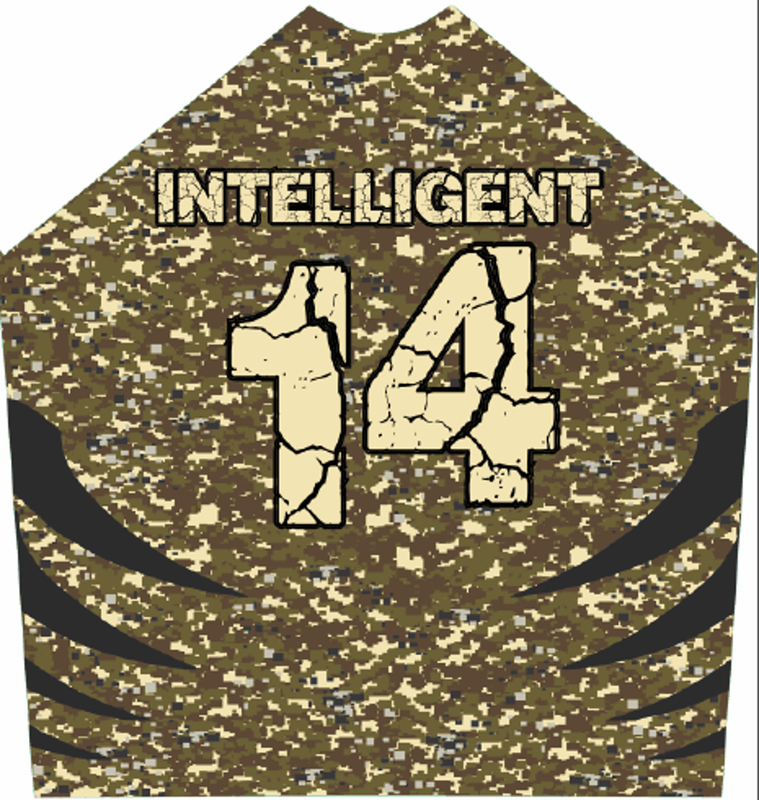 She wears #14 for the black and gold. Kelly is another member of the team with Spina Bifida. She tried roller skating, but had a hard time being successful. "I've always wanted to be on the ice," she shared. "I tried roller skating but it was difficult. But then my mom and I found the Hagerstown Kodiaks sled hockey team and I knew it was right for me." Kelly found her perfect match, a competitive sport and an awesome team to teach her how to play the game she loves. For 41 year-old Rich Wilson, there is certainly a give-and-take relationship with sled hockey. Rich is able to stay active and build relationships with his teammates, but also draws inspiration from their success and happiness. 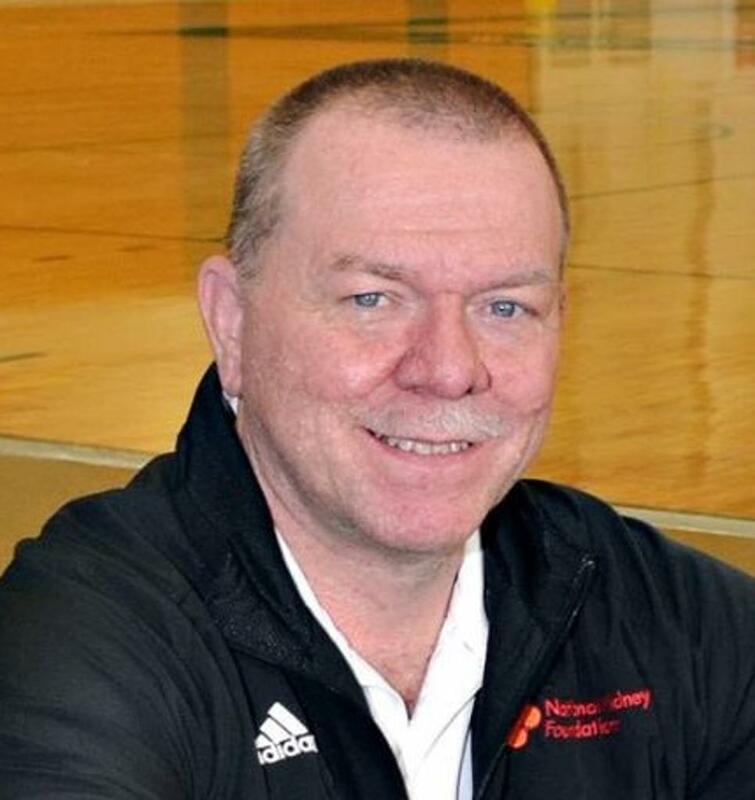 "Being a part of this very special organization has not only helped me physically, but most of all mentally," Rich stated. 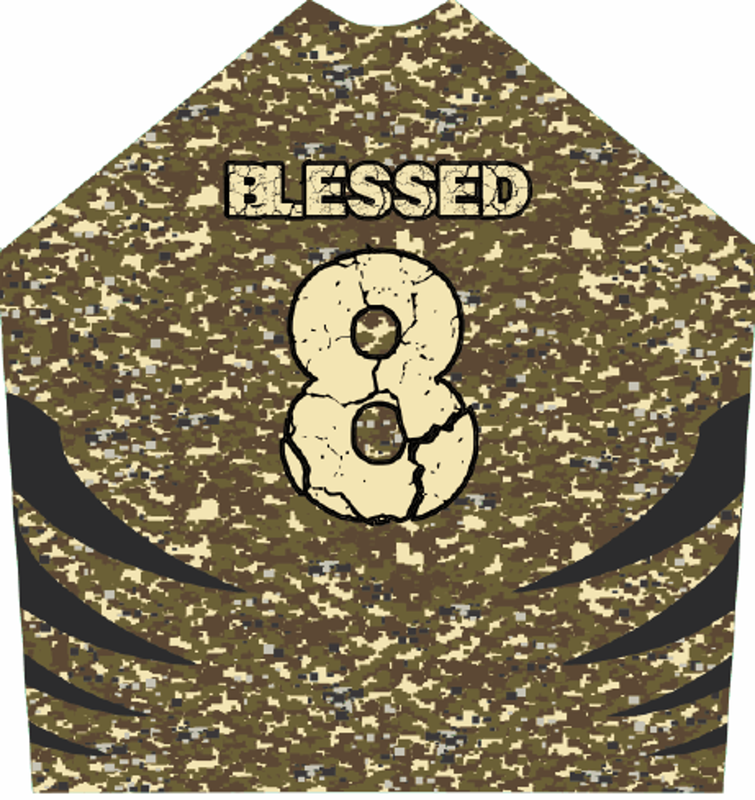 "Being able to play a sport I love has been a blessing. This is a special group of individuals that have overcome many obstacles and, to see the looks on their faces, is priceless- especially the younger ones." 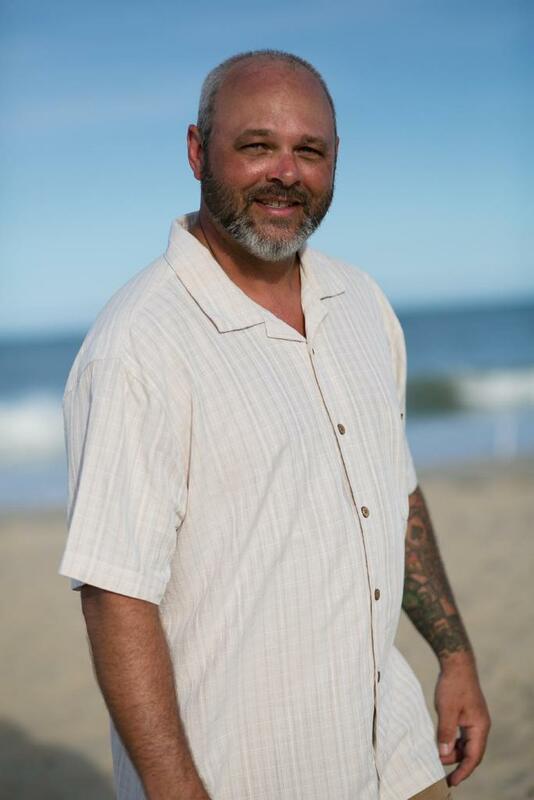 Rich suffered a construction accident in which he lost his leg above his right knee. He has always enjoyed sports, especially watching his son play baseball and his daughter play softball and soccer. He has a lot of pride in his teammates as well. "I am truly thankful for playing sled hockey with such great people. They are all an inspiration to me." Ethan's Yamashita's spirit is described as "unbreakable" by those who know him best. Ethan is a 14-year-old member of the Kodiaks Sled Hockey team. 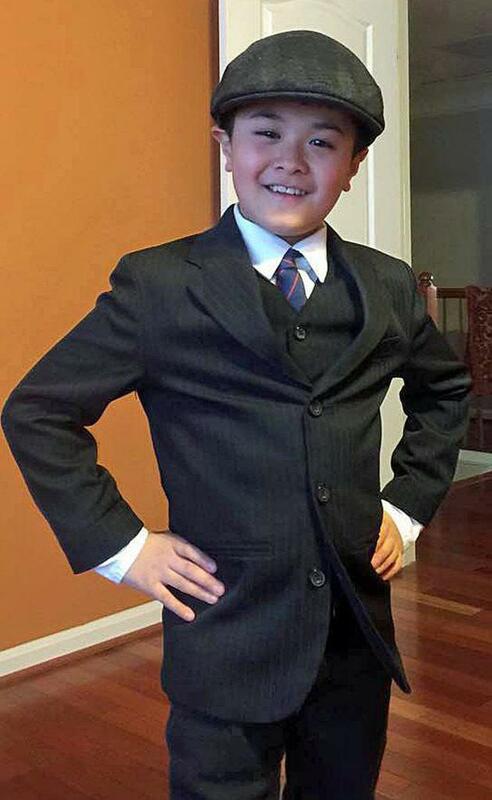 He was born with Osteogenesis Imperfecta (OI), also known as Brittle Bones Disease. He has suffered 80+ fractures, and underwent numerous surgeries because of OI. Playing any type of contact sports are out of question for Ethan. Some might feel sorry for him because of all that he has to go through, but he has never let OI define him and always find a way to do what he enjoys. This young man has an unbreakable spirit! When Ethan was younger he was able to play T-ball. But as he gets older and all the sports got a lot more physical, finding a sport that’s safe and appropriate for him became more and more difficult. Enter the Kodiaks. When his family happened upon a flyer regarding the formation of the Kodiaks, they were ecstatic. The first time Ethan was able to get on the ice in a sled, he didn't want to leave. He was hooked! Ethan hopes to continue to improve and grow with the Kodiaks and share his enthusiasm with those who play with him, support him, and watch him! Jeff is the vice-president of the Kodiaks. The 46 year-old wears #11 for the Kodiaks. Jeff had his leg amputated above his knee when he was 10 years old, due to bone cancer. When he's not on the ice, Jeff enjoy spending time with his family. He and his wife, Julie, have been married for 19 years. Together, they have 3 children- TJ, Camryn and Brady. Two teenagers and a tween keep the Quelet family busy with all of their activities. How did Jeff become involved in sled hockey? "I was inspired by Mike Barnhart to play sled hockey," he said. "Everyone with varying physical challenges can have fun and compete on the same level." Michael is 40, and he wears #52 for the Kodiaks. He has a learning disability, and has found his niche in this team environment. "I started playing sled hockey because I wanted to learn a new sport," he shared. "I didn't play hockey before but this looked like a lot of fun. I wanted to meet some new people and have fun with them." Mission accomplished, Michael! With over a dozen regular players and some part-time players, Michael gets to meet new teammates and have fun skating with them each week. Paul has been involved with the ice rink since it was built 20 years ago. 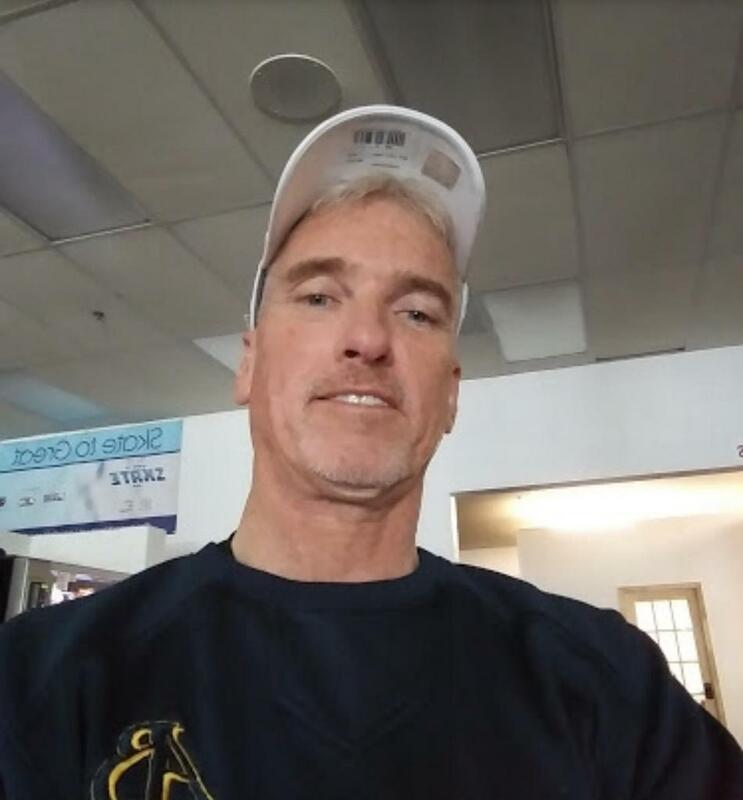 His sons learned to play hockey through the rink, and he plays in the Hagerstown Adult Hockey League (HAHL), the rink's A/B/C level adult division. Paul has held leadership roles in youth hockey and adult hockey during this time, and is currently the President of the rink hockey board. Needless to say, he has played a significant role in the stability and growth of the ice rink over the past two decades. So how did he become acquainted with sled hockey? “I guess the main reason I started to play on the team is because of Mike Barnhart, the Kodiaks' president. It’s almost impossible to tell him no. His passion for what he is doing is really strong," he said. Paul does not have a physical disability, but sled hockey rules permit one or two players without a disability to play for the team. "Mike invited me to try when the sleds first arrived in 2016. 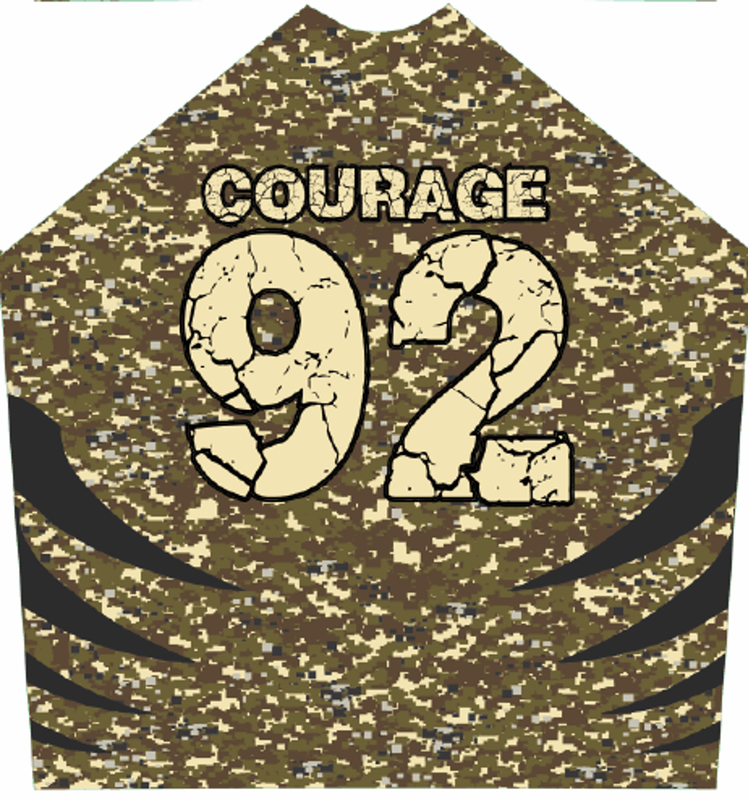 He later gave me a jersey (#92) and asked me to be a member of the Kodiaks," Paul shared. Paul was touched by the positive energy and dedication each player demonstrates towards the sport. "It’s not easy; I now have a real education and new appreciation for what these athletes have to do once they are on the ice, and also more importantly, for what they need to do, to get themselves into their sleds so they can get onto the ice. No one ever complains and I cannot put into words what I see, once everyone is on the ice." He added, "My teammates, who struggle with everyday tasks that most people take for granted, are set free on the ice. Whether it is a practice or a game, pucks are being passed or chased into the corners, with sleds and pucks flying all over the ice." Players are defending, passing and scoring goals. It’s real hockey with real athletes, and I am proud to be a member of the team." In lieu of a donation request for his personal laps around the rink, Paul hopes donors will choose one of his deserving teammates. He noted the team's needs. "We could use more sleds and we need more equipment, so we can grow this much-needed program. That is why we’re having this Sled-a-Thon. I hope you can help. Any donation will be greatly appreciated." 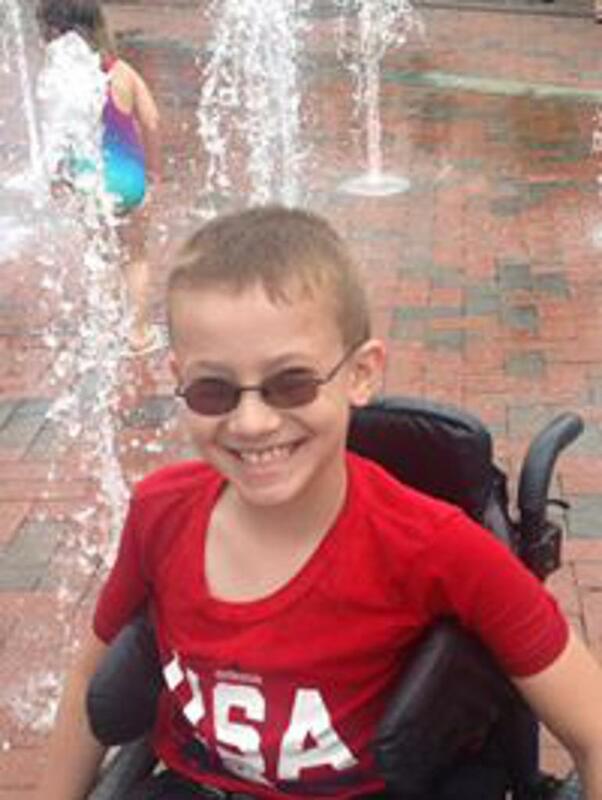 Cameron is 9 years old, and was born with spina bifida. He uses a wheelchair because he is unable to walk. This doesn't stop him from flying around on the ice, though. "I love playing this sport, it is so much fun," he stated. "It is hard work and great exercise. When I get onto my sled, I am able to participate in a sport that I love." 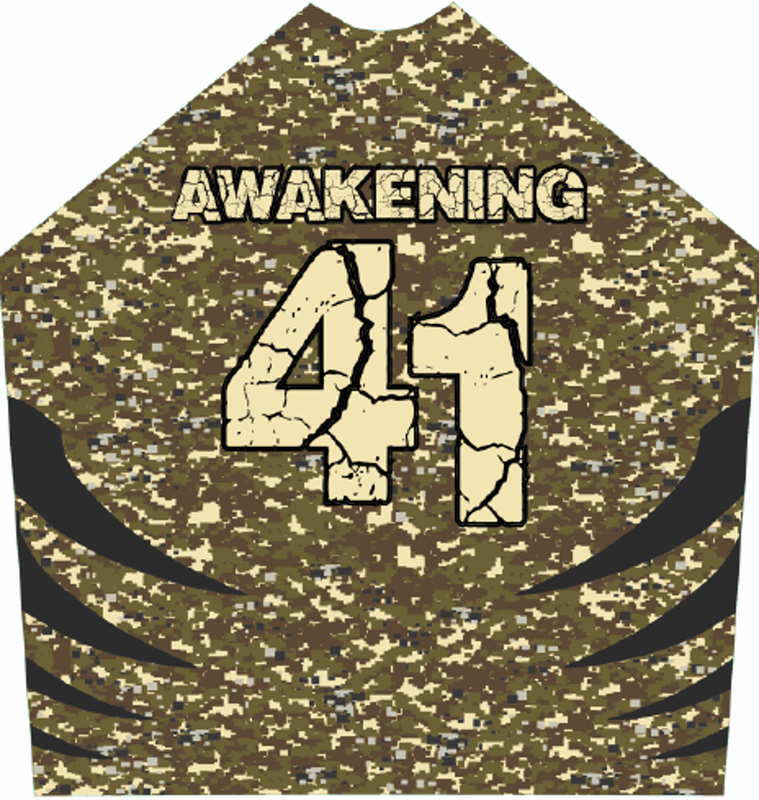 Jeff proudly wears #47 for the Kodiaks, with the DEDICATION jersey. Jeff lost both of his legs in 2018 because of a tick bite, which led to sepsis. This does not keep him from participating in sports, though. "I enjoy the exercise and the competition," he shared. "It is a challenge to learn a new sport like this, but I like meeting new people, especially my teammates who share some similar challenges in life." Kim is 63, and wears #30 for the Kodiaks. Kim suffers from severe disc degeneration in his back, which has led to nerve damage. It causes discomfort when he walks. Turska was brought to the rink through a relative. His grandson was a sled hockey player, and Turska drove him to practice each week. After seeing how much fun the team had on the ice, he decided to join them. "I enjoy learning more about the sport, and love that I can be physically active again," he said. "It is a lot of fun and my disability doesn't keep me from participating." 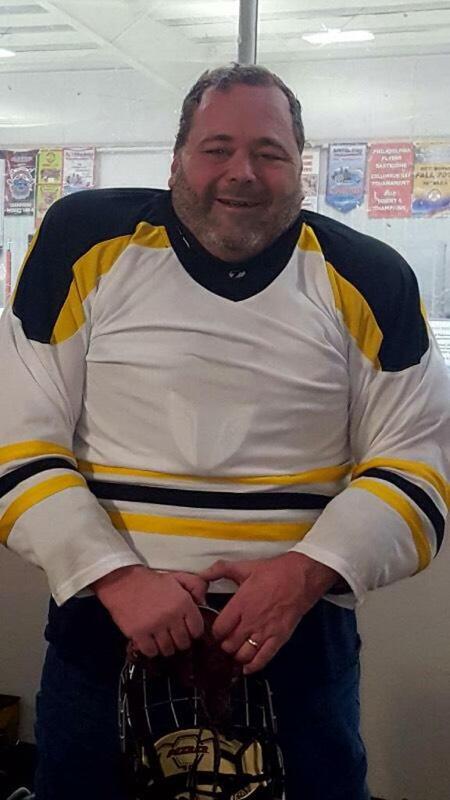 Tim is a 52 year-old member of the Kodiaks, and he wears #59. He is an above-the-knee amputee, and is an Air Force and National Guard veteran. Gaither enjoys playing sled hockey for many reasons. "First, I love the friendships that I make with my teammates," he explained. "I like the fact that I can be active in a team sport. I love playing with them; everyone on the team is friendly and has a positive attitude. It's great to be on the ice with them." Thanks for your service, Tim, and best of luck at the sled-a-thon!